Sign up for free and just shop with Cath Kidston as normal. Our average member earns over £300 cashback a year. Cath Kidston cashback can be earned simply by clicking through to the merchant and shopping as normal. Cath Kidston Cashback is available through TopCashback on genuine, tracked transactions completed immediately and wholly online. Cashback cannot be earned on the purchase/ use of giftcards. Discover modern fashion and home accessories which have a vintage twist and save money when you buy thanks to our Cath Kidston discount code and cashback deals. Whether you are looking for women's fashion, bags or accessories, or are shopping for home furnishings, gifts or kids' clothing and baby items, you will find a great range of products which feature colourful, floral prints. Browse what's new in to get the latest looks or search their bestselling products which are sure to put a smile on your face, while you will make great savings if you buy from the Cath Kidston sale range. Whether you are buying clothes or items for the home, they offer free standard delivery on orders over £40 and a gift wrap service if you are shopping for someone else. Use our Cath Kidston discount codes to purchase from an extensive collection of modern vintage products for you and your home. Browse gifts for her, including fragrance and beauty products, while they also sell gifts for children and wedding gifts. If you are shopping for handbags, their range features weekend bags, backpacks, shoulder bags and more, while they also stock leather purses, wallets, umbrellas and travel accessories. If you need an accessory to complete a particular look, meanwhile, you will discover jewellery and other key pieces. Their clothing collection offers everything from dresses, tops and shorts to nightwear, beachwear and socks, while as well as fashion and gifts, Cath Kidston also sell products for your home. These include kitchen essentials, knitting and sewing accessories, stationery, bathroom items and a variety of outdoor solutions if you are in need of something like a picnic bag. Those looking to maximise the discount on their Cath Kidston order can combine a few methods to make the best saving. One of the easiest ways is to go through TopCashback and get money back on your purchase, but did you know that you can also stack cashback with our voucher codes too? With the first two saving methods in mind, you can still make an even greater saving, and by browsing the Cath Kidston clearance section, you can shop the already reduced ranges of bags, fashion, accessories, homeware and kids’ stuff, with some items already lowered better than half price. 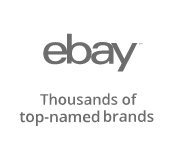 Meanwhile, throughout the year you’ll also find the site host to a variety of sale events making for even more chances to get more for less. An expected up to 40-50% off can be found with the big events at the end of the year as well as in Spring, Summer and also on Black Friday. 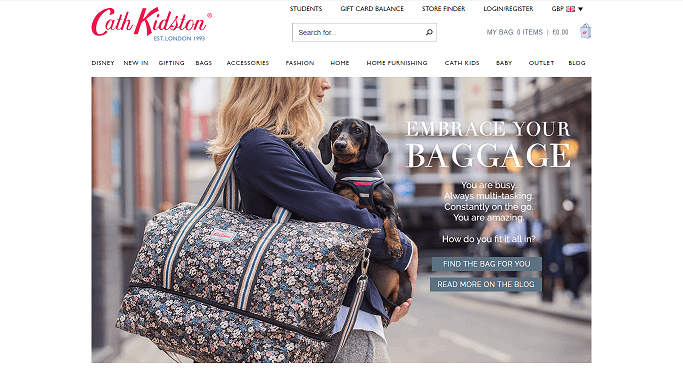 One of the most certain ways to discover the sales first is by subscribing to the Kath Kidston email newsletter, where, as a bonus, you’ll also find out about a selection of other one time offers. Some of those you might find include the likes of payday deals, discounts on whole categories, buy one get money off the next, and special offers on Disney lines like three for two. Once you have used our Cath Kidston voucher codes to make your purchase, you can choose to have your order delivered or collect it in-store. 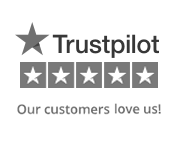 They offer free standard delivery on all orders over £40, which will see your items arrive within five working days. Order before 3.30pm and get it the following day with next working day delivery (excluding weekends and Bank Holidays). Alternatively, you can order online and arrange for it to be delivered to a UK Cath Kidston store of your choice. A delivery date will be specified during checkout, but they will hold it for 10 days, meaning you can collect it any time during this period when it is convenient form you. You will need to print out your order confirmation and take it with you when you collect your parcel. If you are unhappy with an item you have purchased, you can return it for a refund or exchange within 28 days (exclusions apply), as long as it is in its original condition, with tags intact, and you have proof of purchase. You will need to fill in the returns form which was enclosed in your parcel and send the item back to the address you will find on the returns page of the website. You must pay the return postage costs. Items can also be exchanged in a Cath Kidston store, or they can offer you a credit note as they cannot process returns for online orders. If you receive an item which is faulty, they will cover the cost of postage (up to £10 in the UK) and exchange it or give you a refund. Should you receive broken crockery, there is no need for you to send it back. Send a photo to the email address you will find on the returns page of the Cath Kidston website and they will exchange or replace it. If you are shopping for a gift for someone else using our Cath Kidston discount offers, you can make it extra special thanks to their premium gift wrap service. Whether you are buying for a birthday, Christmas or Mother's Day, buy online as normal up to five items per order and choose the gift wrap option during the checkout process, while you can also add a personal message. They will wrap each item (exceptions apply) in printed tissue paper and package them all in a beautiful branded presentation box. They will also include a gift card, printed with your message, and an envelope.